Teaching is said to be among the best ways to give back to the community. To nurture young minds and empower them with knowledge for a better tomorrow is the most noble profession of all, anywhere in the world! However, the education system is not without its flaws and educational activist — Jamaal Smith has become a crusader of sorts to rid the educational system in America of unfair practices and impart equal education for all. Jamaal fondly recalls his grandmother’s words, “you take care of yourself, your family and your people” — as a child he says, family and ‘your people’ were synonymous. It wasn’t until he was an adult did he realize the true meaning of that statement. Jamaal realized that ‘your people’ didn’t just mean his immediate family, but the entire community and that we have a duty to ourselves, our family and our community as a whole. Community is the bonding agent that keeps us integrated within our culture, our traditions and our sense of belonging. The wisdom from that statement is a key element in his motivated drive for change. Growing up, Jamaal attended the Milwaukee Public School but was too young to understand the disparities that existed even then. He completed his schooling years and went on to graduate from Alabama State University with a degree in computer sciences. Pleased with how his life had transformed upto this moment, he came back to his hometown to work in Information Technology. This was the turning point in Jamaal’s life. Soon he realized that he wanted to effect change and found no pleasure in working in IT, and so he switched to teaching. In retrospect, this in itself is an act that deserves commendation. The ability to be an able doorway to knowledge is a true feat and our teachers are just that. Jamaal began his new life as a teacher and immediately knew why he felt he needed to be there. 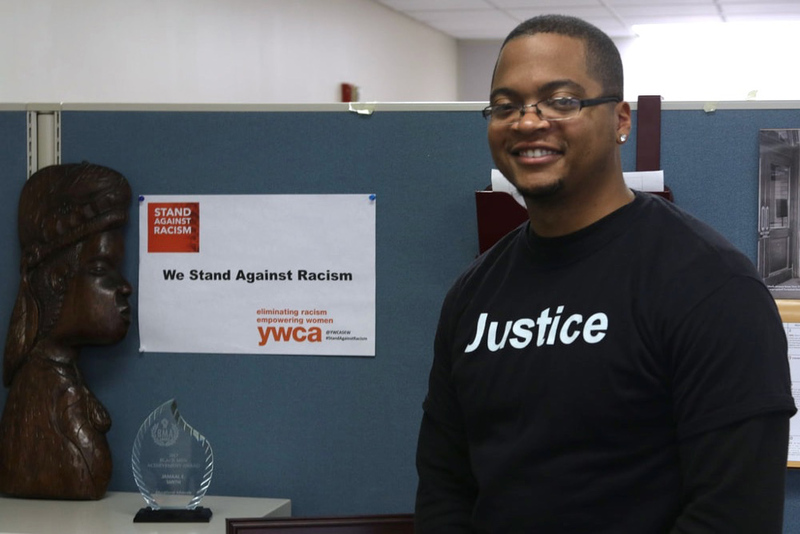 Being a teacher motivated Jamaal to become an advocate for education equality. He immediately started noticing the difficulties students of color faced, and the lacklustre effort being made to tackle these challenges within the education system, such as larger class sizes, budget cuts, and the lack of quality training material and teachers. This was the moment he knew he had to be an advocate for education and its equal dissemination. Jamaal strongly feels that a lot of the low-income neighbourhoods are only as they are because of these disparities. He wants people to realize the power they have within themselves to effect change and rid our society of such unfair practices that don’t just harm communities, but also are an incredible injustice to the nation — depriving its youth and children of the education they deserve. His work is one that’ll change the lives of ‘people’’ and all because of his grandmother’s wise words.